A home inspection is one of the last opportunities for a homebuyer to be certain that the home they’ve fallen in love with is everything that they hope it is and isn’t hiding something that could affect their health and safety or cost them a bundle. Finally! The offer was made. The buyer accepted and a binding contract was created. Now begins what seems like near-endless check writing. 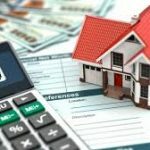 Most fees are necessary and legally required – attorney fees, appraisal fees, transfer fees, application fees… And most buyers will be looking for ways to save money. It may be tempting to skip the home inspection and its $200 to $500 invoice. After all, the house looked great during the showing. This blog is the first of several on home inspections. Among other topics, The Trembley Group Real Estate Blog will examine what covered and what’s not covered by an inspection, how to go about choosing and inspector, “red flags” that should make a buyer reconsider a purchase, and other items that require special attention. In South Carolina, most real estate contracts call for a home inspection within ten days of contract. 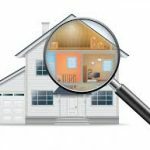 Most buyers hire a professional home inspector to assess the condition of the home. Based on the inspector’s report, the buyer can cancel the contract and terminate the purchase, ask for the seller to complete repairs, or request a price reduction or purchase credit to cover repairs. If the ten days passes without the inspection, the contract becomes an “as is” offer and the buyer assumes all risk of the home’s condition. Many buyers fail to realize the importance of the home inspection and while skipping the inspection may be a temptation, there are good reasons to get one. A quality home inspection can reveal critical information about the condition of a home and its systems. It makes the buyer aware of what costs, repairs and maintenance the home may require immediately and over time. If a buyer isn’t prepared to meet the costs of the needed repairs, the inspection is usually one last opportunity to back out of the offer to buy. A home inspection can detect safety issues like radon, carbon monoxide, and mold. These issues are potentially dangerous and every home should be tested for them. Every contract for purchase should give the buyer the option to cancel the offer if such hazards are detected. A home inspection can reveal whether rooms, altered garages or basements were completed without a proper permit, or did not follow code. According to Jeremy Jenks, a Sales Executive at The Trembley Group Real Estate, “If a house has illegal room additions that haven’t been permitted, it affects the insurance, taxes, usability and the overall value. In essence, a buyer is purchasing something that legally does not exist,” he explains. Even new homes with systems that were not installed to code will become the new homeowner’s’ nightmare and financial problem. Home inspections are even more critical if you are buying an “as-is” foreclosed property or short sale. “Dwellings that have been boarded often develop hazardous mold problems, which are costly to remedy and pose health concerns,” says Jenks at the Trembley Group. It’s common for home inspectors to find copper plumbing lines and outdoor compressors that have been removed from foreclosed properties by people trying to sell the copper to recyclers for scrap. Jeremy Jenks says the home inspection report presents the last opportunity to ask for repairs and/or request a price reduction or credit from the seller. The buyer should work with their Realtor to understand what requests can and should be made to negotiate a better deal. 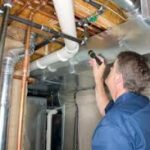 A home inspector can approximate the installation age of major systems in the home like roofs, plumbing, and critical equipment like water heaters and HVAC units. They can diagnose the current condition of the structure itself, and tell a buyer how long finishes have been in the home. All the parts of a home have a “shelf-life.” Understanding when they will require replacement can help a buyer make important budgeting decisions, and it will determine what type of home insurance coverage or warranties should be consider. 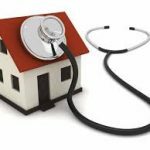 Jeremy Jenks suggests that home inspections can help buyers determine how much additional money or effort will be required to bring a home to the conditions that is personally acceptable. If a buyer is unwilling to repair issues like faulty gutters, cracked walls or ceilings, perhaps they should continue their home search. The home inspector is a valuable educational resource. He/she can suggest specific tips on how to maintain the home, and ultimately save a homeowner thousands of dollars over the long term, according to Jenks. According to Jeremy Jenks at The Trembley Group, buyers should use the home inspection to understand all the nuances of what may be the biggest purchase they ever make. “People fall in love with a piece of property based on the color of the walls, the location of the home, or the view from the patio. They are completely blind to the issues that can make that dream home a nightmare,” he says. “Qualified home inspectors will do these inspections at the same time as their other services and save the homebuyer time and money in the long run,” says Jenks. It is the buyer’s responsibility to understand all that they can about the property they intend to call home. 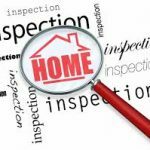 A Sales Executive at The Trembley Group Real Estate can help a home buyer navigate the home inspection process. The inspection can reveal the inner workings of the home, allowing the buyer to evaluate all the home has to offer – the good and the bad.